Have you seen the Coke Zero and League of Extraordinary Dancers campaign for a new dance move? It’s still running so there’s some time left to enter, but what’s also great is they provide some nice dance tracks for you to use in your submission videos AND they are free to download! The ones that I’ve listened to would be great to use for hip hop class – plus all the songs are more than 3 minutes long! I’ve only listened to a few tracks all the way through and while there are no swear words, you might want to listen to the content to make sure its appropriate for your age group. 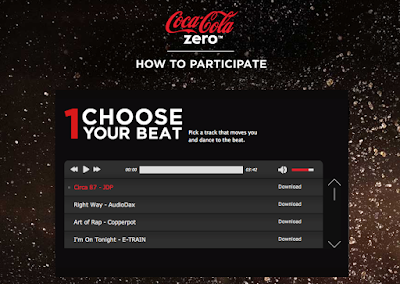 To get to the songs, click on How To Participate and select your track and click “Download”. Full Disclosure: Coke or LXD did not pay me to write this!